Cooper takes on: The World. Every year, students take advantage of opportunities at Cooper to study abroad, and partake in research with international universities. This past spring and summer, Cooper Union students traveled all over the globe to study in Germany, Iceland, India, and Spain. Summer abroad programs in Germany, Iceland, and Spain allow students to earn up to six credits of independent study, while the semester abroad option in India offers a full semester’s course load. Cooper’s partnership with the Indian Institute of Technology campus in Bombay has seen many students take courses in India over an entire semester. This past spring, Jean-Dominique Bonnet (CE ‘16) traveled and studied in Mumbai, formerly known as Bombay. With Professor Kannan Moudgalya in the Chemical Engineering department, Jean contributed to the government sponsored Spoken Tutorial Project by teaching computer skills, recording audio clips, and translating scripts for Spanish or English videos; he wrote code in C and C++ for their professional development. “The bustling cities can be chaotic to people who have never strayed from tour groups before, but they also offer a world you would never get close to touching from this side of the globe,” said Bonnet. “The most interesting thing I did was learn to travel and backpack around cities by myself, which of course provided its own adventures.” Bonnet described his travels in great detail, and highly recommended that future students take the opportunity to travel and study in such a richly cultured country. Sohan Mone (CE ‘16), John DiBattista (CE ‘16), Peter Wang (CE ‘16), and Lee Lopez (ME ‘16) worked on several projects in their time in Spain. When asked why he chose to go to Spain, Mone said “It was a last-minute decision. A week before the application deadline, I realized that once you start working in industry, you really don’t get months off where you can travel and experience a new culture.” DiBattista and Mone worked on a research paper concerning the status of plug-in electric vehicles (PEV) in the United States. “We looked at everything from the impact of PEVs on America’s energy grid to public charging infrastructure, as well as incentives and barriers to adoption,” said Mone. Wang and Lopez worked on nanotubes in a chemistry lab. “We worked with our supervisor and a PhD student to better disperse the nanotubes in solvents and composites and to improve the composites’ mechanical properties,” said Wang. “The cultural experience was amazing and more than I could have wished for. Spain’s culture is so diverse, and each of its seventeen autonomous communities is like a different country in its culture,” said Wang, who came for the research but stayed for the liveliness of the city. Yeeho Song (ME ‘17) traveled to Germany this past summer to work on a hands-on approach to 3D heat transfer coefficients in a chemical reactor. Driven by his interest and curiosity in German engineering, Song used this opportunity to learn and understand the mechanisms and processes behind German engineering. In addition, Song was also inspired by Germany’s economic boom following the nation’s reunification. “Coming from a divided nation, I was curious about the causes of Germany’s unique history, as well as the effects within the field of engineering,” stated Song. Despite his long hours in the process engineering lab, Song also took the opportunity to explore the culture and traditions in Germany. “My experience in Germany boosted my understanding about the political situation in Europe, historical events, and major scientific and engineering advances in Europe, especially regarding how they occurred and why they occurred in such a way,” added Song. Finally, Cooper’s summer abroad program in Iceland, led by Professor Robert Dell, allowed students to study geothermal engineering. 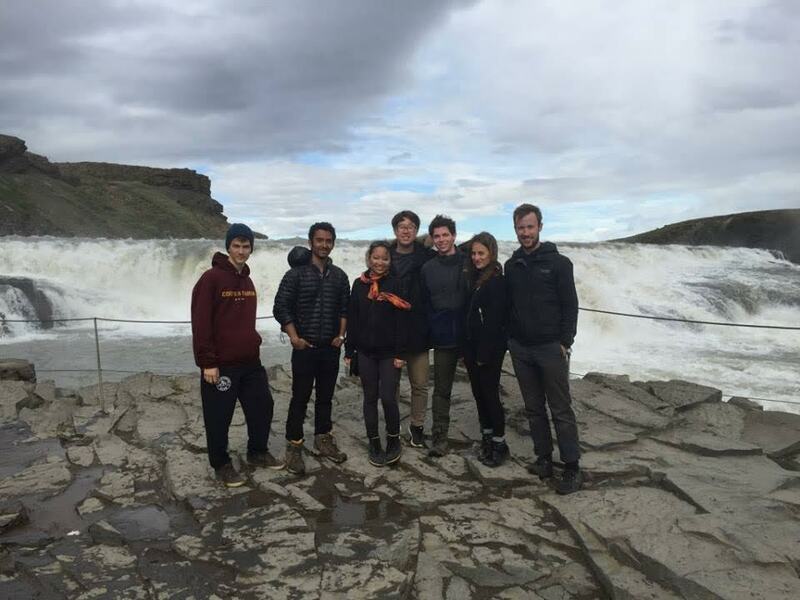 This past summer, eight students traveled to Iceland to study sustainable methods of reusing waste geothermal water and steam to generate electricity with a thermoelectric generator, and to use these methods to improve outdoor agricultural production with heated gardens. Students collaborated with mentors from the Agricultural University of Iceland and Keiler Institute of Technology to attribute to Professor Dell’s research with geothermal heated gardens to increase agricultural yield due to Iceland’s frigid climate and inadequate farming conditions. The students spent the first month in Hveragerdi, a small town in Southern Iceland known for its abundance of hot springs and natural geysers, and the second month in Reyjkavik, Iceland’s capital. When asked about cultural differences in Iceland, Romaniya Voloshchuk (ME ‘17) commented, “I found it inspiring that a lot of people went outside in the rain to do community service by tending to trees and flowers growing on the sides of the roads. I also noticed that the generally unpredictable weather meant that people in Iceland are more adaptable than we are to sudden changes in the weather—they work outside in the rain, fix their cars at midnight when it’s perfectly light outside, dress their kids in bright buffs and generally never complain about the weather.” There’s quite a contrast between our lifestyles to those of native Icelanders, but that should only be a reason to motivate more students to meet the people, experience culture, and explore sites that Iceland has to offer.